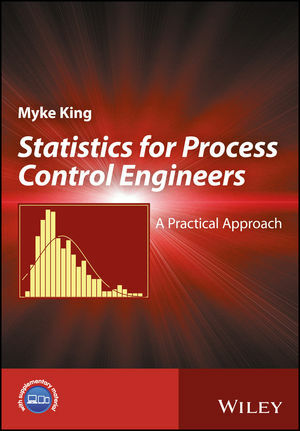 Statistics for Process Control Engineers is the only guide to statistics written by and for process control professionals. It takes a wholly practical approach to the subject. Statistics are applied throughout the life of a process control scheme – from assessing its economic benefit, designing inferential properties, identifying dynamic models, monitoring performance and diagnosing faults. This book addresses all of these areas and more. The book begins with an overview of various statistical applications in the field of process control, followed by discussions of data characteristics, probability functions, data presentation, sample size, significance testing and commonly used mathematical functions. It then shows how to select and fit a distribution to data, before moving on to the application of regression analysis and data reconciliation. The book is extensively illustrated throughout with line drawings, tables and equations, and features numerous worked examples. In addition, two appendices include the data used in the examples and an exhaustive catalogue of statistical distributions. The data and a simple-to-use software tool are available for download. The reader can thus reproduce all of the examples and then extend the same statistical techniques to real problems. This book is a valuable professional resource for engineers working in the global process industry and engineering companies, as well as students of engineering. It will be of great interest to those in the oil and gas, chemical, pulp and paper, water purification, pharmaceuticals and power generation industries, as well as for design engineers, instrument engineers and process technical support. Myke King is Director of Whitehouse Consulting which provides process control consulting and training services. For the past 40 years he has been running courses for industry covering all aspects of process control, training over 2,000 students. He also lectures at several universities. He is author of the popular Process Control: A Practical Approach, now in its second edition (Wiley, 2016).